Politico Brussels Playbook wrote that 4 February 2019 might go down in the history books as a “fatal blow … to the EU’s attempts to be taken seriously on a global stage”. Agreement on the joint statement of the EU–Arab League foreign ministers’ meeting was blocked by Hungary. The EU was unable to adopt a joint position on Venezuela because Italy disagreed, leading to a collection of individual member states endorsing the opposition leader, Juan Guaidó, as interim president of the country. Finally, there has been no response on the developments surrounding the INF treaty, which is worrying and surprising because of its direct connection to Europe’s security. And all of this in one day. The EU’s inability to forge a common position on even the least controversial international developments is an increasingly regular occurrence. Though this does not necessarily mean that the European countries fail to act together, instead they act together in coalitions or ad hoc groupings outside the EU. For example, in response to the chemical attack in Salisbury in 2018, 19 EU member states, along with several non-EU countries, jointly expelled Russian diplomats. Where Does This Leave the EU and Its Foreign-policy Machine? Published in June 2016, the EU Global Strategy is a forward-looking directory on what the EU ought to be as a foreign- and security-policy actor—a vital exercise for setting the future direction and rallying member states around a common aim. 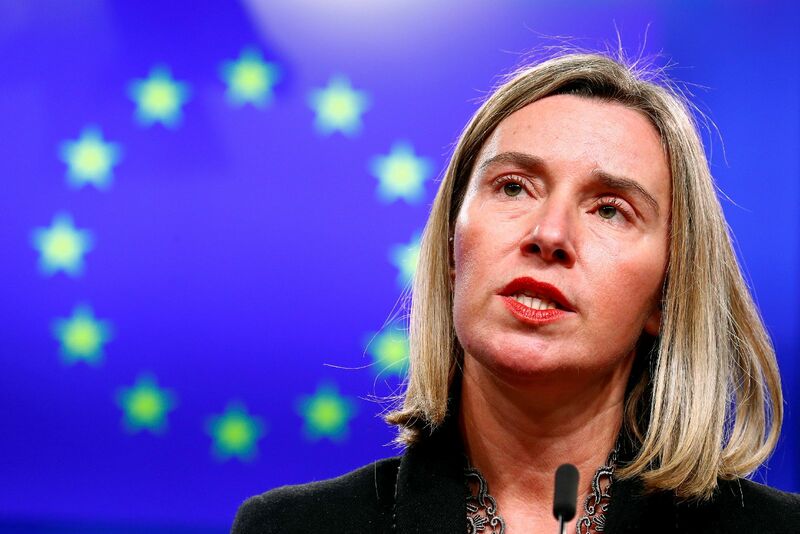 However, the flipside of the strategy has been that it has raised expectations of the EU as a global player and has become, at times, an easy avenue to blame the European Commission, “Brussels”, the European External Action Service or High Representative/Vice-President Federica Mogherini for not delivering a common EU position or action. Vincent Stuer says in his book Curb Your Idealism: “You cannot treat foreign affairs like regulation. Global politics means making difficult choices quickly, and trade-offs, which for all their rhetoric, Europe is not always able or willing to make.”1 In foreign affairs, most policy is made on the go, in unexpected situations, under pressure. A strategy provides a basis for these decisions and should guide the direction. However, when the decision-making moment arrives, various perspectives and interests arise. In the EU, there are 27, 28 for now, different sets of interests and perspectives. Finding common ground and reaching a consensus is not simple. Forgetting that is easy. There is currently “a unity deficit” in the EU, partly because some of the interests of member states have changed, but also because the working relationship between the Commission and the capitals has deteriorated following recent tumultuous and crisis-ridden years. The events of 4 February show us two things. First, the EU institutions of today and tomorrow need to start working more closely with capitals. Indeed, the European Commission’s priority is to stand for the interests of Europe as a whole, but it has to build upon the member states. 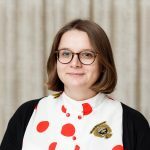 I often bring up this example: the reason for the EU’s unity in Brexit negotiations is the work of Michel Barnier and Taskforce 50 in communicating closely with the capitals. Sometimes meetings in the capitals are mostly about explaining the state of negotiations, but it reinforces a general sense of involvement and respect and allows tabs to be kept on changing attitudes and interests in capitals. The other side of the coin is that the member states need to think through and be more vocal about their interests and limits. Moreover, it is not uncommon for the member states to call for the EU to take a more active global role. However, practice shows that the member states often fail to follow the Commission or HR/VP Mogherini when it tries to execute this global role. This means that member states need to think through their red lines and, more importantly, the trade-offs they are ready to make to allow the EU to become a more global actor. There is a price tag attached to a “European response”, and more honesty is needed about the opportunities, limitations and trade-offs that such a response offers. To get out of the current EU foreign-policy deadlock, the EU’s institutions need to develop well-functioning and active relationships with the capitals in order have a better grasp of member states’ interests and limits. Foreign policy is about quick reaction, flexibility and adaptability. Adjusting voting systems is not an adequate substitute for this, since it would kill off the EU’s unique selling point on the world stage: its size. European integration is about increasing Europe’s strength in the world, and QMV in foreign-policy matters would fragment this. Equally, for the EU to achieve the high expectations set by its members, the media and the think-tank community, member states need to be honest about their interests, limits and the trade-offs that the ambition of an EU as a “global actor” requires. 1 Vincent Stuer, Curb Your Idealism: The European Union as Seen From Within, VABPress (2018).